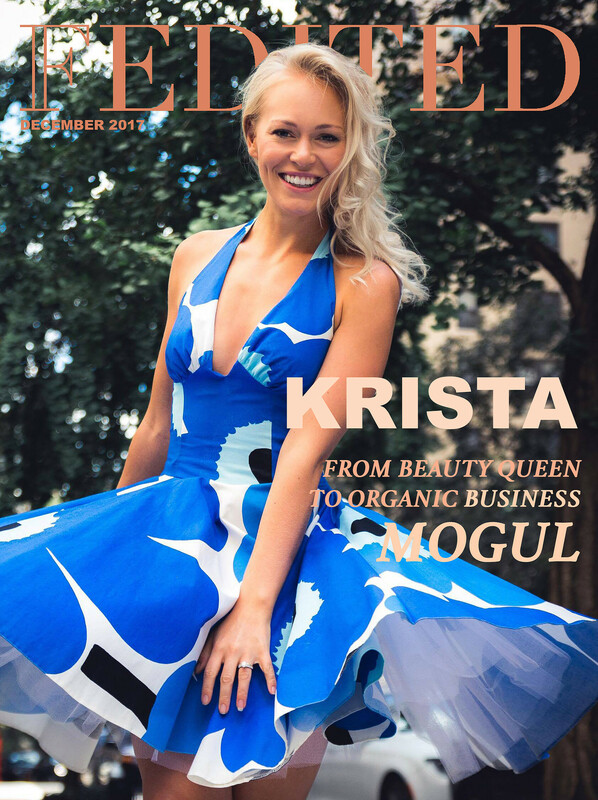 Our gorgeous friend Krista Haapalainen stays busy with her soon-to-be-launched company, Organic Nava. For the New York Fashion Week, we had the priviledge of having a girl community at her place near Central Park, getting a glimpse of her life as a newyorker! Krista Haapalainen, 27, Miss Finland 2014 first runner up and Miss World Finland 2014. Born and raised in Finland but moved to New York 2,5 years ago. Co-founder and National Marketing Team Leader of a functional beverage line called Organic Nava. How did you end up living in NY and how do you like it? There are mainly two kinds of Finns in New York, the ones that come here for work and the ones that come here for love. I belong to the second group. After a year lasting long-distance relationship I decided to sell (almost) everything that I own, pack my bags and move to the dazzling Big Apple. I never really imagined myself living abroad or in New York, but there I was waving goodbyes with my mom, crying, at the airport. It’s crazy how much power love has. The first few months were like a rollercoaster with a lot of ups and downs. I just left my family and friends and was homesick, next moment I was on cloud nine walking on the streets of the most amazing city in the whole world. I was introduced to the harshness of New York and sometimes it got me. Often I found myself crying in the shower thinking about what am I doing here, but then there was that love handing me a towel and reminding me why this all happened. On the first week here my dad gave me an advice to go outside and talk with at least three different people. I was so shy that I only talked to the grocery store cashier. But little by little I got used to the city, how the subway works and the differences in culture and life started to get easier. Now couple years later I consider my self a ‘newyorker’ who knows when the yellow cab is fooling you and what is the meaning of small-talk. What have you learned from life in NYC? New York city is tough, but at the same time amazing. It shows me the reality really fast and can slap my face but can also offer something surreal that I never even knew existed. If America is the land of opportunity, New York is the place to make the dreams happen and probably that’s why it’s called “The City of Dreams”. This city has thought me to grow a thicker skin and not to let anything wear you down. If I have something that I want to achieve, it’s possible BUT it requires a-lot-of-work. I have also learned that although everything revolves around money here my Finnish way of thinking is much healthier. It’s all about balance and putting the most important things, like family and friends first before work. Tell us more about your company and its products. I got together with the other co-founder of Organic Nava couple years ago and we noticed there’s a void in the fictional beverage category. We realized that there’s an opportunity to create something great and started creating the juice line in our very own kitchen. Now two years and hundreds of research and development hours later we are finally launching the line in January. The line is vegetable juice with functional hydration and has many health benefits. We consider ourselves as “The revolution against sugar” and believe that rest of the world will join us to this revolution. We are a small start up company which has thought me to wear a lot of hats at the same time. It’s amazing how little a school can teach in four years and how much can a job teach in two. Within the past two and a half years I’ve worked on logistics, R&D, design, production, sales, marketing and lately in a new opportunity – hiring new employees. It has been a great learning experience of business and mostly, about myself. You are also known for charity work, has that affected on developing products that really do good for health? I feel like with this juice line we can do good in two different levels; we can educate people making better choices and eating healthier and we can also help the people in need by donating certain percentage of the sales. I got inspiration for this from Miss World competition and Beauty with Purpose projects that the whole competition was revolved around. Seeing the less fortunate every day on the streets and subways keeps me humble and makes me realize over and over again how important charity work is. My dream is to have a foundation next to this company that can help more and more people every year. Is there a difference between the business life in Finland and NYC? Business life in Finland and New York is completely different. There’s no such a thing of “coming back to work after a vacation pay” not to even mention weeks of vacation or unlimited sick days. None of that. Work culture in New York is so competitive that companies don’t have to give a lot of benefits since there’s the next person already knocking on the door asking for your place, probably with cheaper pay. Professionals all over the world gather here to make their dreams come true and that makes the level of competition so high. Luckily I only work 9 to 11 hours a day but just couple days ago I chatted with my friend who hasn’t seen her husband in two weeks because of his 20 hour work days. Some people even move to their office for a few days so they can sleep and change clothes there and not waste time going home. But it’s all worth it if you are doing something that you enjoy and you know that in the end it’s taking you where you want to be. 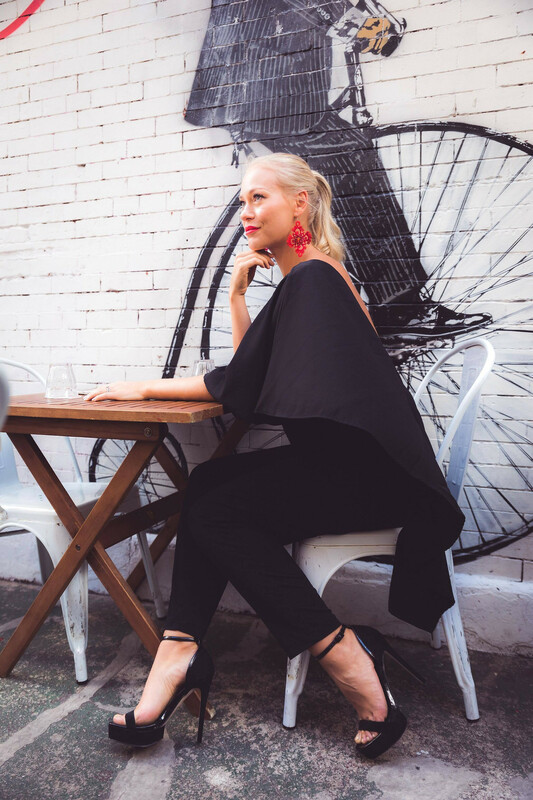 You are a true boss lady – how do you have time to run business, do a lot of sports and spend time with your friends and family, in two different continents? After working crazy 16 hour days with hight tempo for a while I realized that life should not be devoted only for work – or at least my life. I realized that I need to work smarter, not harder and this is something that I need to focus on every day. Balancing life between work, family and my own wellbeing can be tough but I have learned certain techniques to help me, like writing down my goals weekly, making the subway ride a learning experience by listening podcasts, having Wednesday nights for date night and the best out of all – finding the healthy restaurants that deliver food home! Thank god for all the technology that allows me to maintain my relationships with my friends in Finland. How did they do it in the old days? Where do you get inspiration in your everyday life and in business life? New York is such an inspiring city. So many things are happening around you and you never know what there will be around the corner. People are the most inspiring and I love to hear their stories about life lived. The boldness of the city sometimes raises the most beautiful ideas and keeping open mind allows me to experience all of this. Growing up nature around me in Finland I feel like the best inspiration for my work life comes from Central Park and especially when I’m running around the calm lake in the morning. It’s such a beautiful place to get the thoughts together and set up goals for the rest of the day. I’ll spend New Years in Helsinki and hoping to see lots of friends there! Very excited to spend a week there especially after the nostalgic Finland100 celebration. Would you come to LA with us in Jan or Feb? This super woman is living a life that is a dream for many of us. We know that learning a new language, a new culture AND being thousands of miles away from your family and friends can be extremely hard – and still she manages to build herself a meaningful career, every day. Her endless positivity and determination of running her organic juice business is so contagious that we got a lot of motivation for our own business as well!